On this holy day, I can't help but think that I might not be here today if it weren't for all the blessings and support I received from this ecosphere. I can never pay back the kindness I received during my healing journey, but I will continue to try and pay it forward. 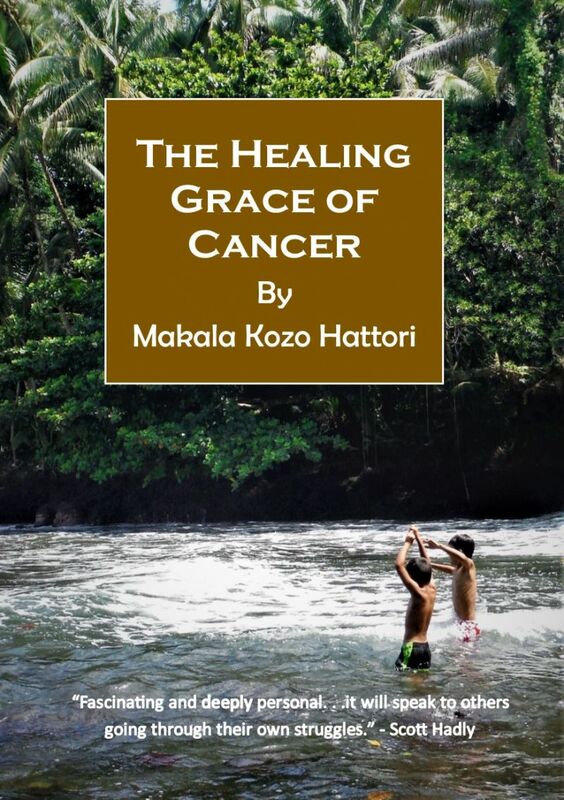 On that note, I would like to offer anyone and everyone a copy of the book I just published about the healing grace of cancer. Please share this link with anyone who might be served by this humble offering. Click here for a free copy. The book will be free for the next five days starting on Christmas. Thank you all for all you have done visibly and invisibly for me and my family these past few years. I love you all. Thank you for this Kozo. I'm going to share this with some beloved friends and family who I know will find comfort in these pages. Couldn't stop reading your book! So many nuggets of deep experiential wisdom. "Your book sparked in me a curiosity to find a wise way to compost further patriarchy, the nation-state and capitalism. What if this is the current cancer of the Earth? What would be our equivalent of surrendering to the "healing gift of cancer"? Can we make peace with our planetary death? What would be our moringa, our oxygen, our Vitamin D, our rest/sleep, our coffee enemas?"